Does this sound familiar? ‘I have told them the same things for years, in fact I’ve probably told them 100 times and they still don’t get the message!’ This is often a regular theme when departments try to communicate with each other, or when trying to obtain buy-in from those more senior in the hierarchy. But is it our responsibility to sell – or their responsibility to buy? Maybe the problem is not with the receiver of the message? Maybe there is a problem with the delivery! In a recent workshop on Emotional Intelligence, a challenge a participant was reflecting on reminded me of this useful table. 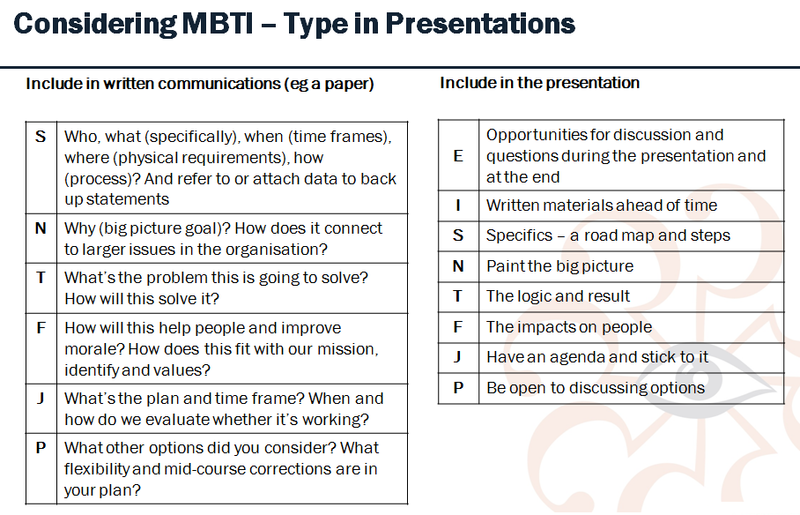 It provides some prompts to remind you of different things to consider when preparing a presentation or a report. ← Mindset – Do you mine for Gold?